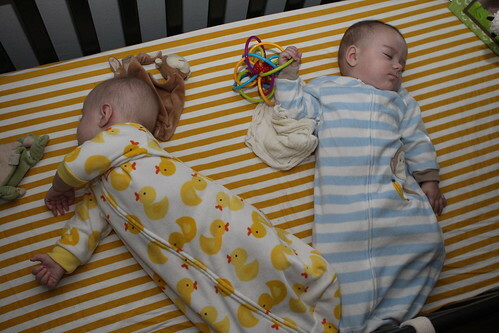 On Wednesday night Jen popped into the babies' room to see how they were doing. What she observed appeared to be part of an epic struggle to claim ownership of one of their new Christmas toys. Martin was cradling the toy to his belly and defending it with his body. An hour later we checked on them again and we found the struggle continued. Elliott had reclaimed possession of the toy. It was action-packed and a great way to practice using my camera's flash in pitch black conditions. The next morning Martin's head was covered in tiny little scratches. Was this a result of the nails on the ends of his extremely fidgety little fingers? Was it a result of this toy conflict with Elliott? Was our house suddenly infested with wild wolverines in the night? We may never solve this mystery. Elliott has taken to leaning with purpose when you hold him and reaching for things he wants. 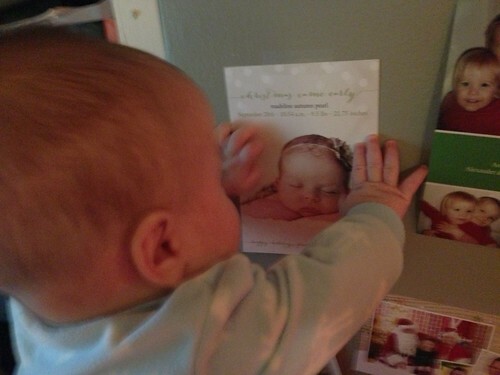 Most recently this happened when last night he took interest in our friends' Christmas card featuring their daughter Madeline. Is there a young romance brewing? Possibly. However, later in the evening when I stood him on his changing table he made the same grabbing-and-leaning motion towards a container of baby wipes. 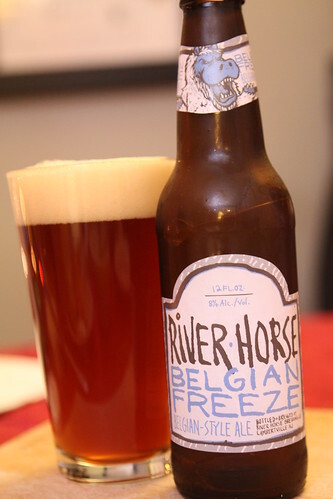 Along with some quick leftovers from the freezer I had this Belgian Freeze dark Belgian ale from River Horse Brewing Company. This was a pretty heavy, somewhat syrupy beer that was great for a day where it was quite chilly at 13 degrees. 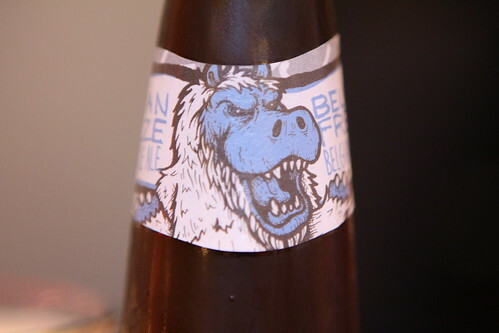 The bottle features an "Abominable Snow Hippo" keeping with the brewery's hippo theme. It was a choice piece of artwork. 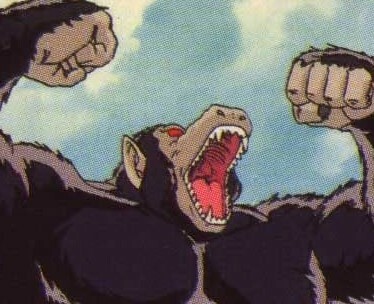 I couldn't help but be reminded of Goku's ape form in Dragon Ball. The resemblance is uncanny. I'm wondering if this was intentional or if it was just part of my obsession with the 80s cartoon. I often associate unrelated things with Dragon Ball. It's kind of my thing.